On this page: some of the newest standing desks for 2017 and a few old favorites. New for 2017! The StandUp by Jaswig is a Kickstarter darling that won hearts with its all-wood frame and work surface and IKEA-like design sensibility. Its look is clean and simple, yet at 32 lbs it’s sturdy enough for daily use and it comes in three sizes, including a children’s size. If there are any drawbacks, it’s that this desk is rather narrow for its price. They make a wider version, but it’s pricey and you can get more bang for your buck with one of the (much larger) desks featured in this article. For an all-in-one standing desk solution that is both functional and stylish, the Ergotron WorkFit-D sit-stand desk is the one you want. The Ergotron is sturdy, easy on the eyes, and its lift mechanism is one of the best ones I’ve seen: the desk slides into sitting and standing height positions without any motors or cranks. The desktop even comes in three colors: birch, white, and walnut brown. 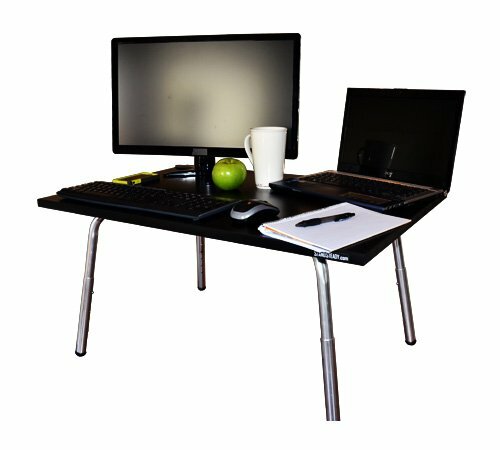 Ergotron offers an optional keyboard mounting arm for those who like their keyboard a bit lower than their desk. The Ergotron WorkFit-D is the Cadillac of standing desks. For turning your current desk into a standing desk with the option to easily switch back, you want the VARIDESK Pro Plus. It sits on top of your existing desk, and it’s easy to convert it to a standing desk: just squeeze the handles and lift (don’t worry about the weight – the lift is spring-assisted). The Pro Plus has room for two monitors, keyboard, mouse, and notepad. It supports multiple heights up to 15.5″, but users over 6’2″ may find it too short. No clamps or screws to mess with – the rubber feet keep it stable and sturdy on top of your existing desk. 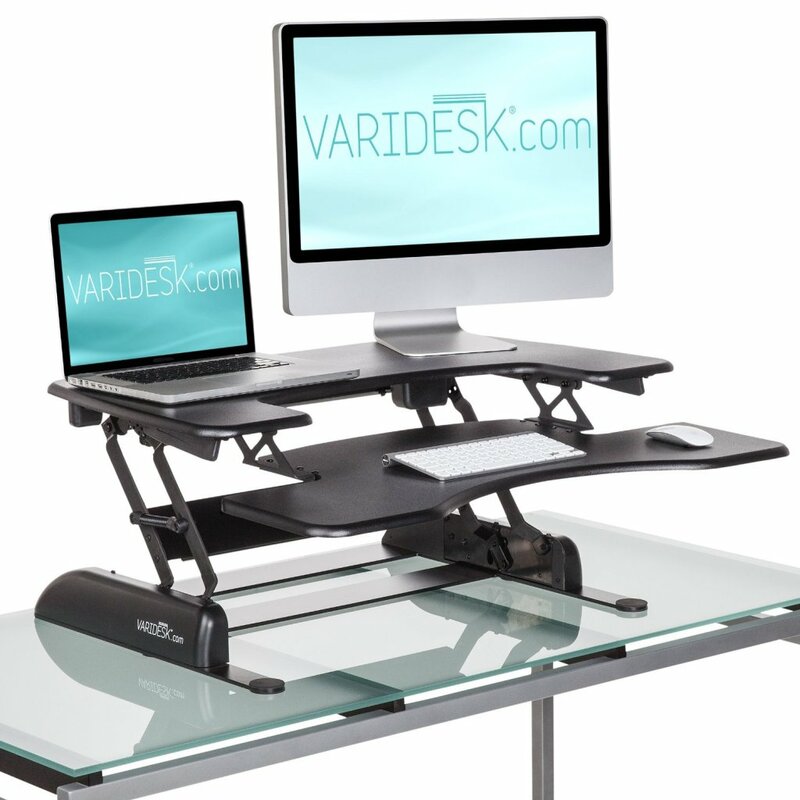 The VARIDESK Pro Plus sits on top of your existing desk and easily converts between sitting and standing modes. 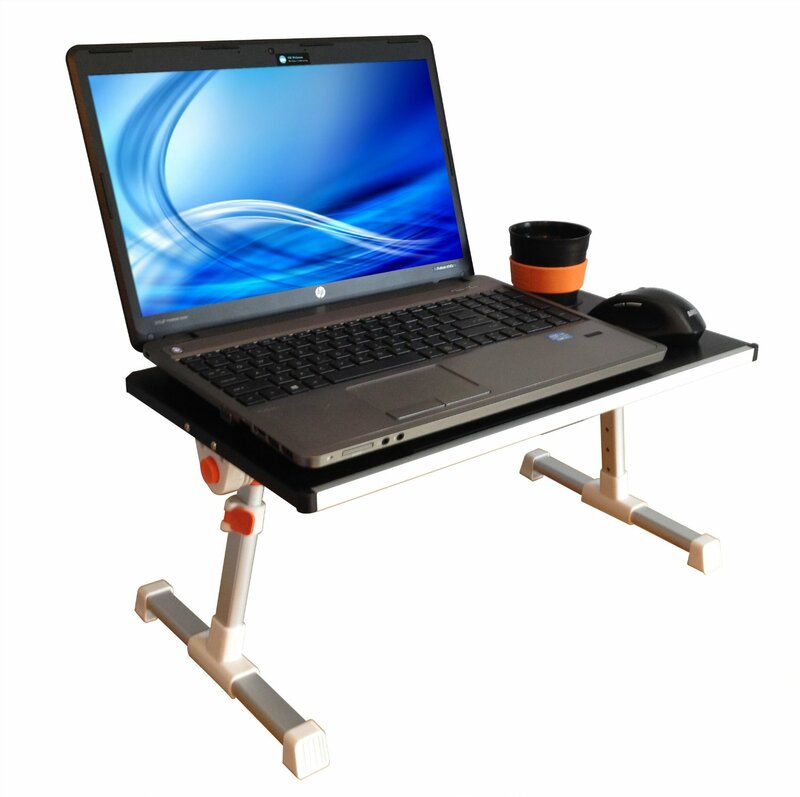 The adjustable legs are a nice feature, and who wouldn’t enjoy the extra desk space freed up below the stand? Both Stand Steady desks can be between 11.25″ and 15.5″ tall. The Executive Stand Steady is 32″ x 22″, large enough for two monitors with plenty of space below. Set it on top of your existing desk and watch it go! 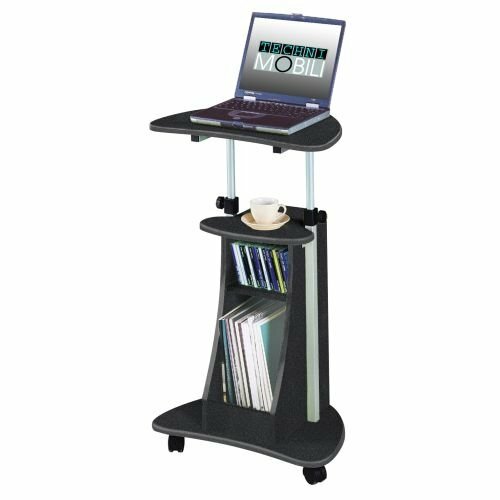 For a small-footprint, portable, and budget-friendly standing desk you want the TECHNI MOBILI Laptop Stand. It’s on wheels so you can take it with you around the house, office, classroom, etc. 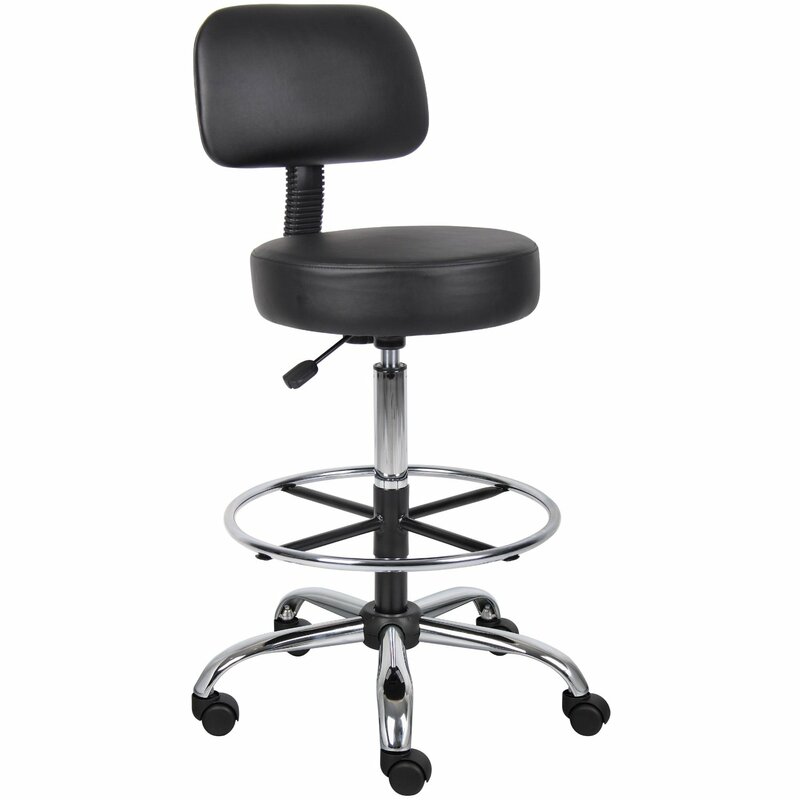 Use it as a podium or an extra desk around your work site. 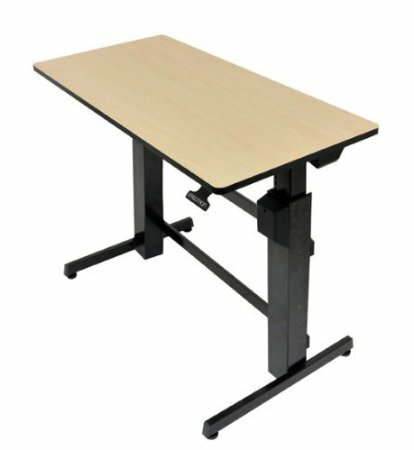 We had one of these TECHNI MOBILI laptop stands in a class I recently attended, and the desk was surprisingly sturdy and looked great, especially for its price. Techni Mobili laptop stand is portable but sturdy. If you need a travel-size stand-up desk solution, you want the Traveler Folding Stand Up Desk by Stand Steady. It’s meant for laptops and adjusts between 9.25″ and 12.8″ tall. The collapsible legs allow it to fit into carry-on size bags, and you can even tilt the desktop surface towards you for even better ergonomics. Stand Steady’s collapsible, carry-on friendly laptop stand turns any desk into a stand up desk – anywhere. This is a comfortable chair and I like the little foot rest. I think of it as my “good posture” chair, since there’s no cushy back to slouch against and no arm rests to lean on. An anti-fatigue mat. Standing on a hard floor all day can introduce its own aches and pains. 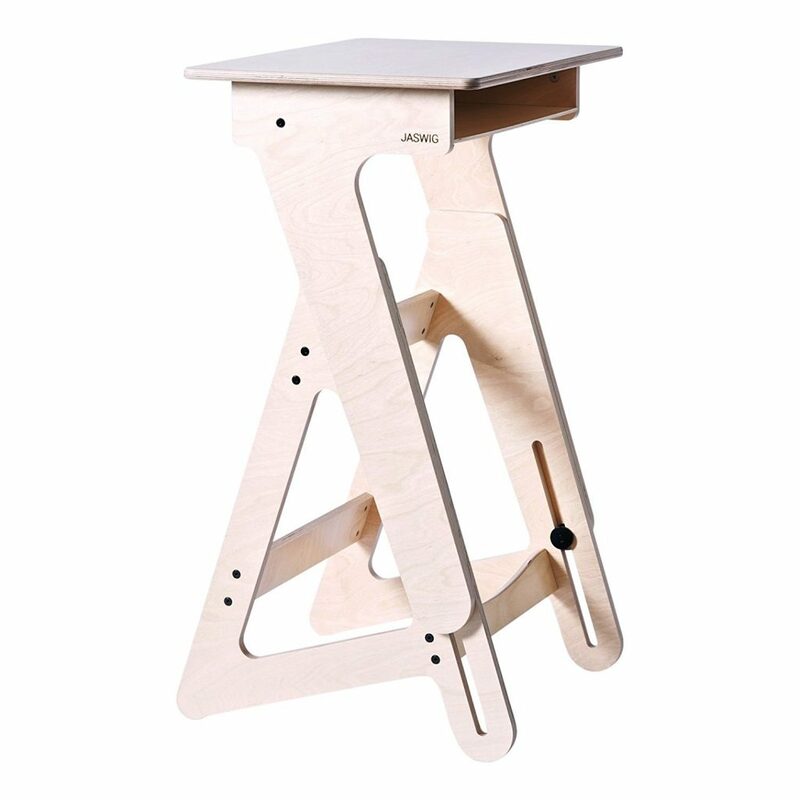 For standing desks, you want the CumulusPro. Yes, there are cheaper anti-fatigue mats, but this one is much higher quality. 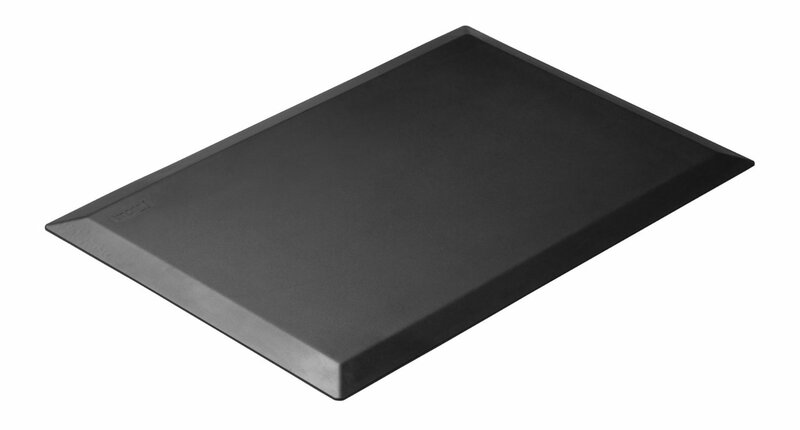 Most anti-fatigue mats are a “sandwich” – a thinner, supportive core material encased in a shell of foam material. The Cumulus, however, is just pure core all the way through. The beveled edges won’t curl and it won’t lose support over time. And, even if something does go wrong with it, it’s got a 10 year warranty. Rugged and well-designed, the CumulusPro is the best anti-fatigue mat for use with standing desks. The ideal height for your standing desk is about the height of your elbow when you stand with your arms bent 90 degrees. (Read our guide to measuring yourself for a standing desk here.) The height of your keyboard will affect your final desk height by an inch or so, so just use the elbow rule as a starting point. Oh, and you should probably ease into it – don’t do like I did and spend your first day with your standing desk standing the whole day. (Unless you’re a total badass. If you are, carry on.) Stand for a few hours and then feel free to return to sitting. Your knees and feet will [probably] thank you.